Welcome to Rosco's Milford Kayaks!  Let us show you why TripAdvisor consistently rates us the top activity in the sound and why Lonely Planet called us the best way to see Milford! Rosco pioneered sea kayaking in Milford 28 years ago, making us the longest established owner-operated kayaking company in New Zealand. Choose an adventure and let our fun, expert, local guides show you round our backyard!